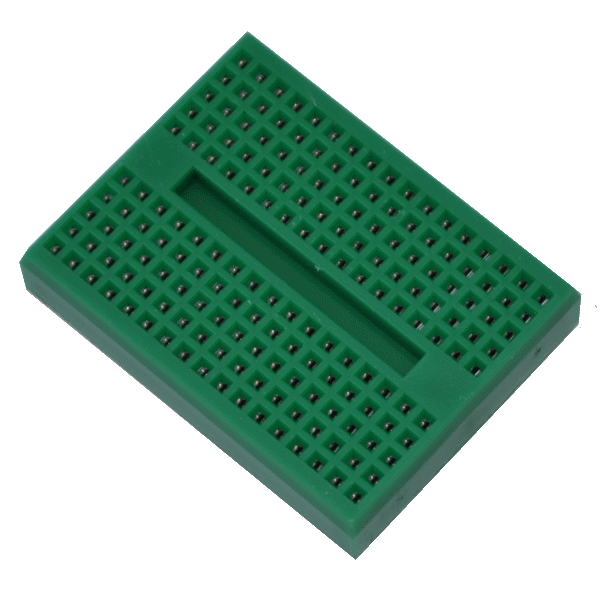 This green mini 170 point solderless breadboard is great for making temporary connections. Comes with a self-adhesive backing for easy mounting. 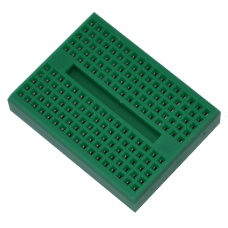 Accepts wire sizes from 20 to 29 AWG.